Use the modern 7" Emblem Shade Gooseneck Light in chic multi-fixture arrangements to illuminate commercial signs and awnings. Paired here with an arching gooseneck arm, 7" Emblem Shades embody a clean and contemporary feel sought after by so many businesses. And the all-aluminum construction of gooseneck fixtures makes them a durable outdoor light. Also UL Listed for safety and performance. 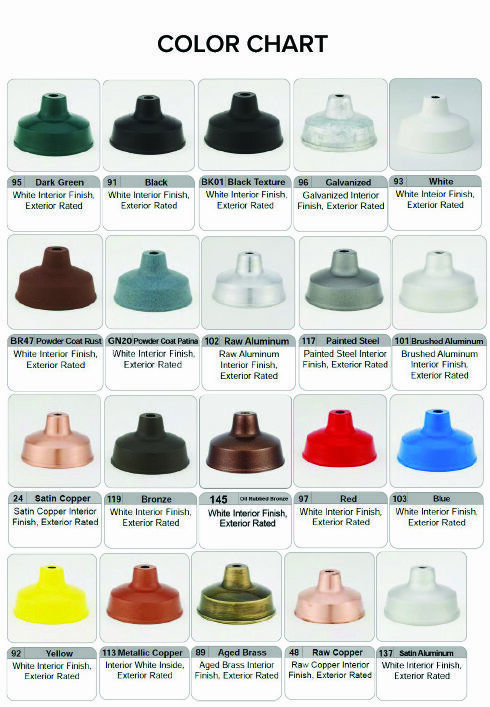 Emblem Shade Goosenecks come in a choice of 25 colors, sealed into a rust resistant powder coated finish. All parts including shade, gooseneck arm and mounting plate are color-matched. Mounting plates install on standard 4" junction boxes, flush mount or recess. Standard lamping for gooseneck lights is incandescent rated for up to 150W bulbs. Add optional swivel couplings for an adjustable sign light. And for energy efficient and high-intensity discharge lamping options, please call for metal halide, high pressure sodium, LED or compact fluorescent gooseneck lighting orders.